MELBOURNE, AUSTRALIA: In the remarkably short time that it has been a band, Hiatus Kaiyote has managed to create and record two critically-acclaimed and commercially-successful albums, each of which earned a Grammy nomination in the category “Best R&B Performance.” The band formed in 2011 in Melbourne, Australia and has ever since been producing path-breaking soul music infused with the ethos and attitude of indie rock. 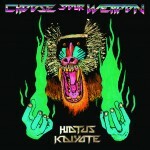 For their latest album, "Choose Your Weapon," the members of Hiatus Kaiyote relied heavily on their home studio and the Metric Halo 2882 mic-preamp/converter/interface that connected their heartfelt performances to the world of ones and zeros with warmth and personality worthy of such an intuitive band. 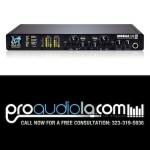 LOS ANGELES, CALIFORNIA: Metric Halo wishes to thank Pro Audio L.A., for recently featuring the Metric Halo ULN-2 in their "Gear Chain of the Week." Or, bring YOUR stereo mix down to their studio and master it with this and other amazing Metric Halo gear (please call for an appointment). MONTRÉAL, CANADA: Seoul is a dream-pop three-piece operating out of Montréal, and their debut album, I Become A Shade, has quickly become a fan and critic-favorite. 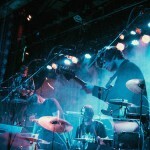 The band formed when longtime musical collaborators Nigel Ward and Julian Flavin started working with Dexter Garcia on an as-yet unnamed writing and recording project. Flavin had stayed in Montréal to study at McGill University, and Ward met Garcia at the Berklee College of Music in Boston. The trio recorded and wrote on weekend trips to Montréal, and each member recorded parts and ideas on their own in their home studio setups (installed into whatever apartments they happened to be living in at the time). Recognizing that creative magic was in the works, Ward purchased a Metric Halo 2882 preamp/converter/interface to put the recordings into the “pro-quality realm” and to give them the track count they needed for their occasional larger recording endeavors. Garcia opted for the two high-end preamps of the Metric Halo ULN-2 preamp/converter/interface. The units’ mobility would allow them to track wherever they were living or wherever they needed to go for a particular instrument or sound. LAS VEGAS, NEVADA: Originally from Germany, Ilja Rosendahl is an actor, musician, and a voice-over artist currently based out of Las Vegas, Nevada. As President and CEO of Scene Bridge Entertainment, Rosendahl also has executive production credits for several feature films, including the forthcoming Emerald, which he also wrote and in which he is starring! He speaks seven languages, which allows him to work on diverse projects, including a massive number of Spanish-language television programs. “I have always enjoyed learning languages and being able to communicate with people all over the world,” he said. “And of course, they’re useful for acting and voice-over work.” His solo musical project, Latent Anxiety, has released six studio albums and received critical acclaim and numerous industry awards; its seventh release, Salvation, is due out later this year. BOGOTA, COLOMBIA: Metric Halo is a proud Prize Sponsor for both the 2016 AES Colombia Section Student Recording Competition and the 2016 AES Colombia Section Design Competition (for Audio Professionals). The finalists have been selected and the winners will be announced at the AES 2016 Latin American Conference. LOS ANGELES, CALIFORNIA: Although still young and with more career ahead of him than behind him, prolific producer/engineer/songwriter and five-time Grammy-winner Devine Evans has seen and heard a lot. A long-time user of Metric Halo’s ChannelStrip plug-in, Evans entered the world of music as a musician and songwriter under the management of Lisa “Left Eye” Lopes, a member the 1990s hip-hop and R&B group TLC (the best-selling American girl group of all time). He and his band were signed to Universal in the mid-1990s and were recording their debut (which, for better or for worse, never debuted due to lawyerly machinations inside Universal), when Evans made a connection that would happily alter the course of his career. An eight-year old with a stunning voice and an old soul served as go-between. UNITED KINGDOM: Of course, Judas Priest is among the small cadre of bands that might constitute the “founding fathers of metal” – including their genre-defining 1980 British Steel and 1982 Screaming For Vengeance, the band has sold over 45 million albums. With only a few hiatuses, the band has continued to rock arenas for decades, and their 2014, critically-acclaimed Redeemer of Souls earned the band a spot on the Billboard Top 10 for the first time ever. Tireless touring throughout 2015 culminated in a performance to 85,000 frenzied fans at the Wacken Festival, which was beautifully captured on video and audio for subsequent release. 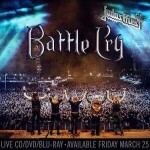 Battle Cry Live jumped to #1 on the US Billboard DVD Music Chart and analogous charts in Canada, Sweden, and Finland, and made the top 10 in numerous other countries around the world. Having worked with the band on the vast majority of Judas Priest’s signature albums –including British Steel, Screaming For Vengeance, and Defenders of the Faith, along with most of their earlier live albums – producer Tom Allom was called back to the chair for Battle Cry Live. Allom brought in mixer, Jack Ruston, the team relying on the Metric Halo LIO-8 interface, and MIO Console software to seamlessly flip between a wide variety of monitoring systems. ST. PETERSBURG, FLORIDA: Billy Norris got his start in the music industry playing the kind of killer blues guitar that musicians and fans in the Tampa Bay area took notice of. His move to New York City to study jazz bass at the Manhattan School of Music in 2006 reflects the tremendous breadth and depth of his musical interests and aptitude. 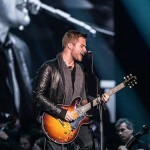 There, he met Platinum-selling pop singer-songwriter Gavin DeGraw, who hired him to play lead guitar on tour. It didn’t take long for DeGraw to realize that Norris had the right kind of head to excel as the live show’s musical director. 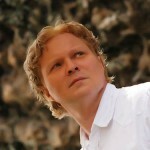 Norris moved back to home base (St. Petersburg, Florida) where he continues to serve as DeGraw’s musical director and lead guitarist from a comfortably-appointed home studio. The time and security of his position have allowed Norris to branch out, writing and producing for other musicians, television, and movies. 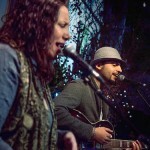 SAFETY HARBOR, FLORIDA: Boogie Monsta and Ms. Mauikai are the down to earth, indie pop/alternative soul duo known as D’ALA. Boogie brings the musical roots of his French-Iraqi heritage to the group, and Mauikai brings the musical roots of her Cuban-American heritage. All together, D’ALA is born of a unique recipe for making grooves that are so infectious, their audience has no emotional bandwidth left for wondering about the technicalities of the recipe! 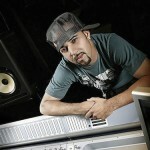 Boogie and Mauikai have been working together since 2009, most often on projects involving the complicated logistics of numerous band members. With D’ALA, they’ve been playing fly dates around the U.S. and abroad with nothing but an acoustic guitar, a pair of microphones, and a Metric Halo LIO-8 outfitted with four mic preamps and a paired MacBook Pro running Metric Halo MIO Console +DSP and Ableton Live. 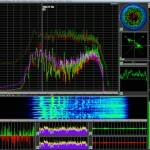 To receive your free SpectraFoo license, join AES as a Student Member via http://www.aes.org/join, or log-in to http://www.aes.org/students/benefits and access your benefits right away!